Requests for public records from the Chillicothe Municipal Clerk of Courts will be accepted by mail or in person only. Our public service counter is open Monday through Friday, 7:30 a.m. through 4:30 p.m.
Information regarding a case and accompanied by the case number will be supplied upon request. Information requested by a person's name must be accompanied by that person's social security number and date of birth in order to make positive identification of the individual. This type of request will be answered within 10 business days. Individuals who need such information sooner than 10 business days may use the public access computer terminal or docket books to obtain case numbers. Information requests which are to be picked up in the Clerk's office must be accompanied by a telephone number so we may contact you when the information is ready. If this is a long distance call, the call will be collect. Information requests which are not picked up in the Clerk's office will require a mailed response from the Clerk and must be accompanied by a self-addressed envelope with sufficient postage. There will be a charge of .25¢ per page copied ($1.00 per page for certified copies). 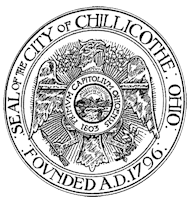 All information provided is case information from the Chillicothe Municipal Court only. The information provided is local information constituting a public record and contains no statewide LEADS information nor national NCIC information, dissemination of which is prohibited by state and federal law.